Between Ward Pkwy and 48th St. Valet parking available daily after 5pm. Street parking and parking ramps available as well. We do offer catering, please view our capabilities at http://www.breadnbutterconcepts.com/catering/. 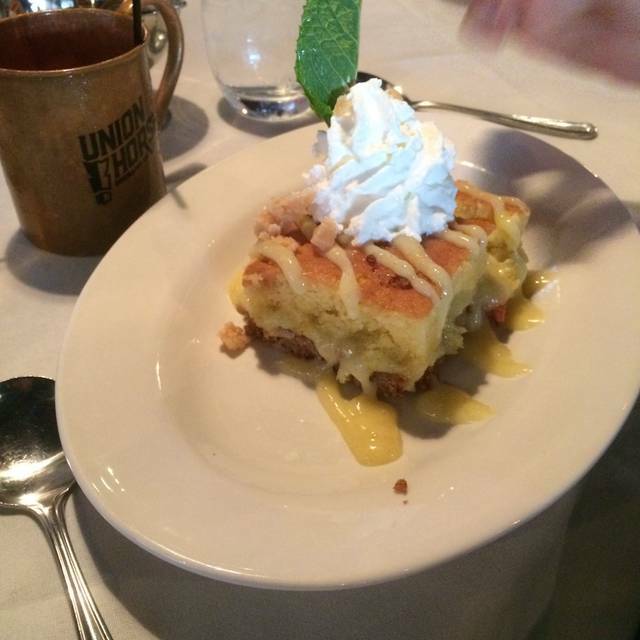 We are a refined version of the American Tavern. 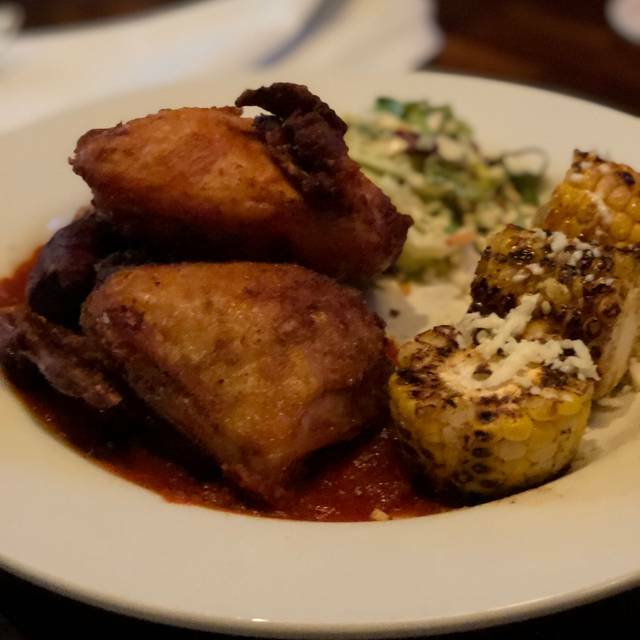 The Oliver honors the modern-urban, Midwestern charm of Kansas City through local ingredients and an elevated twist on American classics. 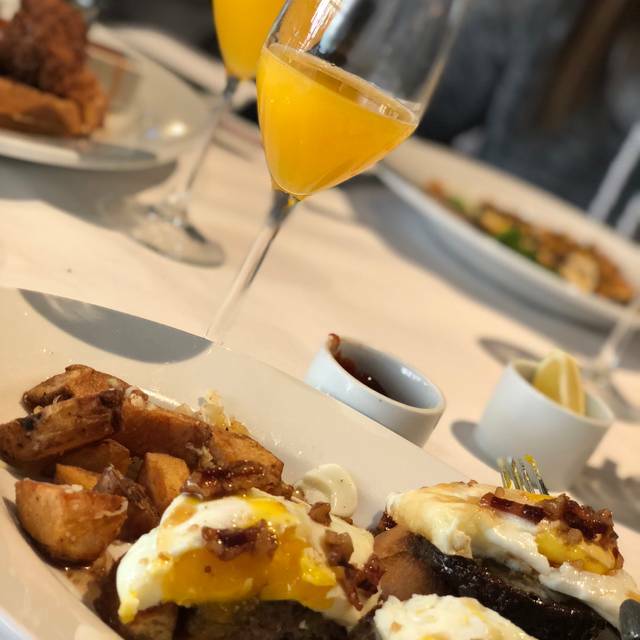 Weekend Brunch specials are available Saturday & Sunday from 9:30am-3pm. The service was terrific as was the wine. My husband's hangar steak was terrific, but my trout was a tad overcooked (yet tasty). The sides were delicious. Our food came out in mere minutes, which may work for steak but not for fish. I eat here regularly and have never had an issue before. It's a great restaurant and we'll of course be back. 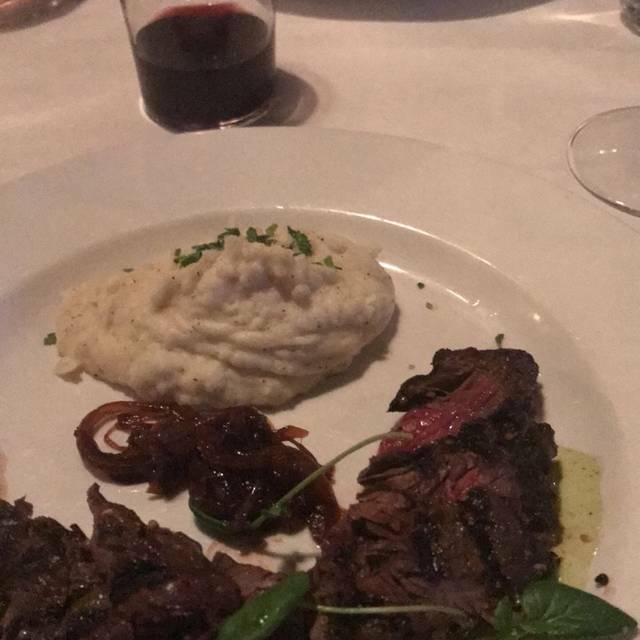 I dined at the Oliver for my friends birthday. The service was excellent, the food delicious and creative. Had a wonderful time! Excellent staff who were totally accommodating of our 2 children under the age of 6 for Sunday brunch. Meal was excellent and we look forward to returning. Food was great as usual. Had the shrimp Louie , which we had had before and this time the dressing was very hot. Was not expecting that. I like heat but our guest thought it too hot. It was not this hot the other times I had it. I liked it...but taste your dressings...or describe them as having some heat. Love your food overall and the others in our party with the exception of one (who thought it should have said Heat!!!) were all very pleased. Unlike other reviewers, we didn’t care for the pork nuggets at all. They were smothered in a sweet BBQ sauce with sharp white cheddar on top and they were cold. The dip duo was ok. I’d only order it at happy hour. The cocktails were bomb. The BG salad was amazing as well as the fried chicken. And the meatloaf was lifechanging. Happy Hour is only in the bar area, and there isn’t a lot of seating available. Get there early! Great service and food was great! First time for us. Wait staff knowledgeable and efficient. The food was really, really good. Also, good job on the cocktails. Our dinner experience was an excellent one. Great place, great staff and service and is reasonably priced. We enjoyed the food & ambiance immensly!! We were mistakenly given a lunch menu instead of the dinner menu and were charged the dinner price for the meatloaf instead of the price we saw on the lunch menu and there were still 1-2 things on our ticket that were the dinner prices and we were expecting to pay the lunch prices. We didn't say anything, wanting to not be a nuisance. Great food with friends. Calamari, Shrimp and Grits and the Cobbler were all fabulous! We want this restaurant to do well but in view of the following, the management must get on the ball. The food was very good but the service was just horrible. We have been there several times and we have observed that have a system that just simply does not work. Many restaurants employ such a system where the waiter takes your order and others on the staff help out by delivering the food, drinks etc. This restaurant takes this to a new level and does not manage the system well at all. The waiter takes your order and then mostly disappears for the rest of the evening. It took him roughly 15 minutes before he took our drink order and then it took forever for the drinks to arrive-----by a different server. Our original waiter finally showed up and then we placed our food order. The food was also forever arriving------by yet a different server. I don't believe we ever saw our original waiter again. One of the managers (Rob) was very helpful by following up on the absence of wait staff. Another manager seemed to be walking around following up on no one or any thing. The general manager arrived near the end of our meal to replace a side dish that arrived cold because it took so long. Sorry----too late. Rob (he is trying hard) took care of our drink order. The G M did offer to take care of our check but I declined. That was not our objective. What we want is for her to manage the business by managing the wait staff system they employ. This experience took over two hours for a restraunt we went to just to grab a bite to eat. This is a neighborhood restaurant, so we may be back just because we like to help the locals. 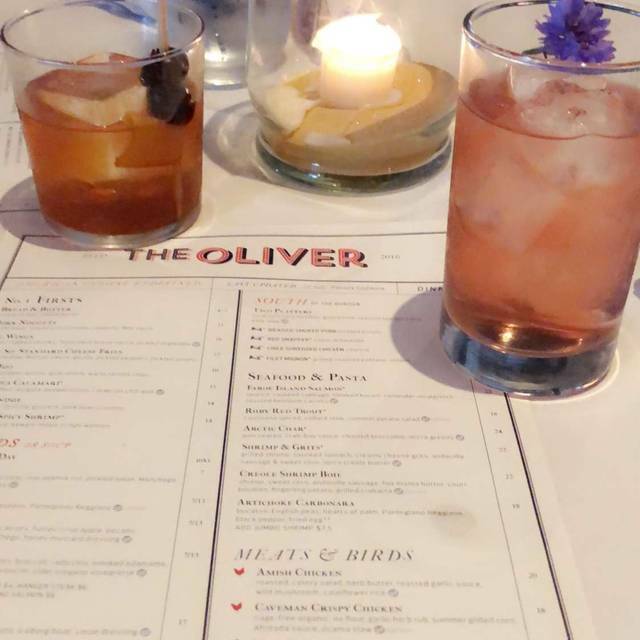 Went to The Oliver to celebrate my friend's birthday. We had a small party of 3 and it was super easy to get a reservation. Tuesday's you get a free bottle of wine with a purchase of 2 entrees! This restaurant is where I have most of my business lunches. It is on the edge of the plaza and for some reason I feel it gets overlooked as an option for many people. That is a huge miss on KC's part. The service is top tier, the quality of food is exceptional, and their menu is the perfect size with the right amount of options. The Oliver has never let me down. Definitely recommend the OBurger! One of my favorite burgers in KC. The dipduo is a favorite for appetizers! Make sure you make a reservation ahead of time..The bar side tables tend to get chilly from the main door in the winter! KC was chosen for as the kick-off location for my daughter's spring break trip...she flew in, my husband and I drove in and we all enjoyed a couple of snowy days in the Plaza & KC area. 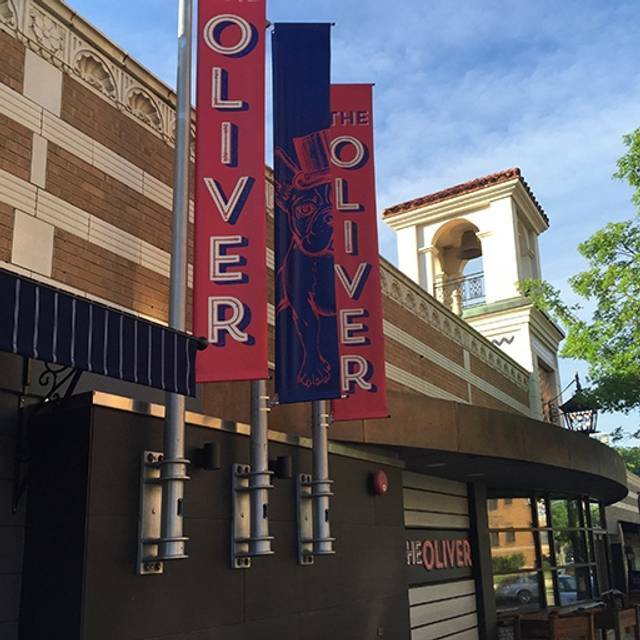 Our dinner at the Oliver was booked based upon an earlier meal last year which we loved and they excelled that experience! Cocktails, Service, the entire meal was all spectacular - so much so, that we returned for Sunday morning brunch! Which was also fabulous! Highly recommend - the place is lively enough to be comfortable but not too loud and the service/food is everything a restaurant should offer. I was in from Denver for a concert. This was the perfect spot to grab a great meal in a cool environment! We always enjoy it there, but this time was mostly because of our darling server, Denise. What a lovely young woman and we all loved her and wanted to bring her home with us!! It was very good, as always, and we'd love to come back and will always ask for Denise when we do! 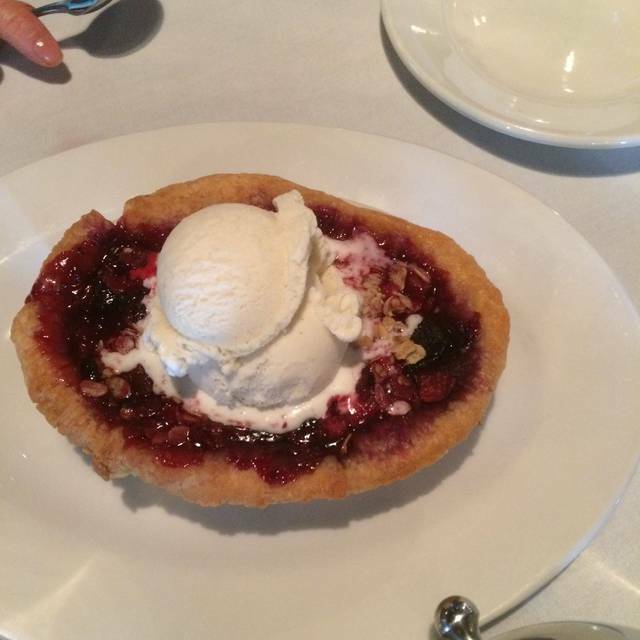 Inventive takes on appetizers, salads, entrees and desserts. The leek fondue is actually a hot 3 cheese dip with crostini - yummy! The BG salad is a unique mix of balanced flavors including watermelon radish slices. Don't miss the shrimp & grits with spicy andouille sausage sauce. 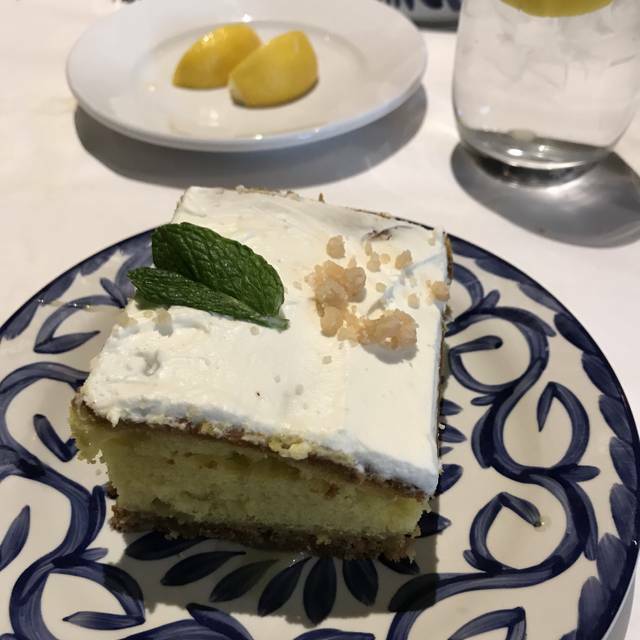 If you like lemon cake - their take is rich & delicious. Our waiter was attentive without being overbearing. The atmosphere is warm and lively. The food was delicious and the server was great. One my favorite KC restaurants. Sat at the bar waiting for our table ( we we’re early) and two drinks. Excellent drinks and enjoyed visiting with bartender. Very enjoyable!! Fantastic! Loved our waiter, Eddie, and the food was out of this world. We had a wonderful meal! Food was delicious, the service was fabulous!! This was my second time to eat dinner here and we enjoyed ourselves immensely! Amazing food, amazing atmosphere, music a little loud but other than that it was great. By the way, teach your servers how to pour beer into the glass, other than that great service as well! We always enjoy The Oliver. It has great food, great drinks, and a very quaint atmosphere. My GF is Gluten-Free and we love the Fried Calamari appetizer, and she loves that she can eat fried food because it is made with chickpea flour! 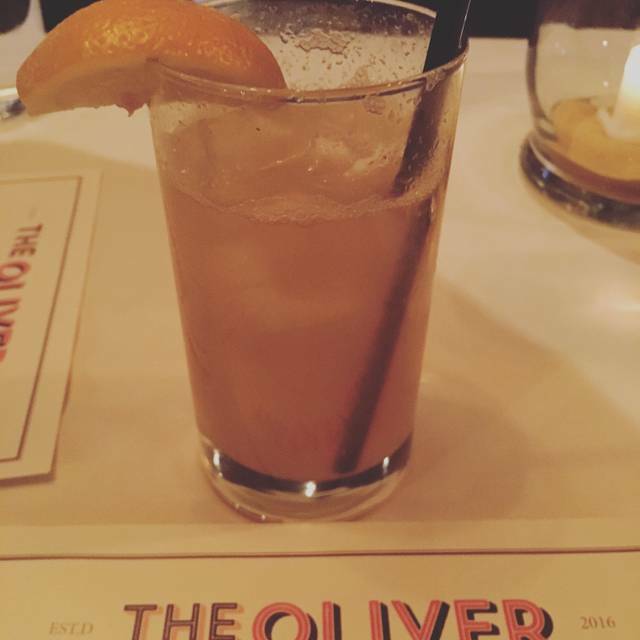 I would always recommend The Oliver. Enjoyed a very nice Valentines Day dinner there last night and had a wonderful experience! There was no wait for our table upon arrival, the menu was unique and food was delicious. Servers were on top of it and seemed to enjoy being there. The room was an open floor plan, but the walls and ceiling were subtly covered with sound absorbing panels so the acoustics were fine for conversation with my wife despite my hearing loss. Meal for 2 including drinks and desert was $103. Would recommend this restaurant to others and eat there again. Very nice place with neat decor. Solid food. Great little spot with fantastic ambiance. Get the meat loaf.